CUSAT recruitment 2017 notification has been released on official website www.cusat.ac.in for the recruitment of total 32 (thirty two) jobs out of which 17 (seventeen) vacancies for Technician Grade-I, 03 (three) for Technician Grade-II & 12 (twelve) for Technical Assistant vacancies. Job seekers should apply on or before 27th December 2017. Here on this page you will get the details like the Name of vacancies released by CUSAT with exact number of posts. 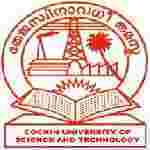 Some other criteria like Education details, application fee and way to apply application for CUSAT recruitment 2017. Educational Qualification: ITI pass in relevant discipline for S.no-1 & 2. Diploma in relevant Discipline with first class for S.no – 3. Fee charges: Applicants who wanted to participate for CUSAT should pay the below charges through Demand Draft drawn in favour of the Registrar, Cochin University of Science and Technology payable at SBT, Cochin University of Science and Technology or by direct remittance at the cash counter of Cochin University of Science and Technology.